With this loss and the Rays’ victory over the Tigers the Red Sox fell to last place in the AL East. 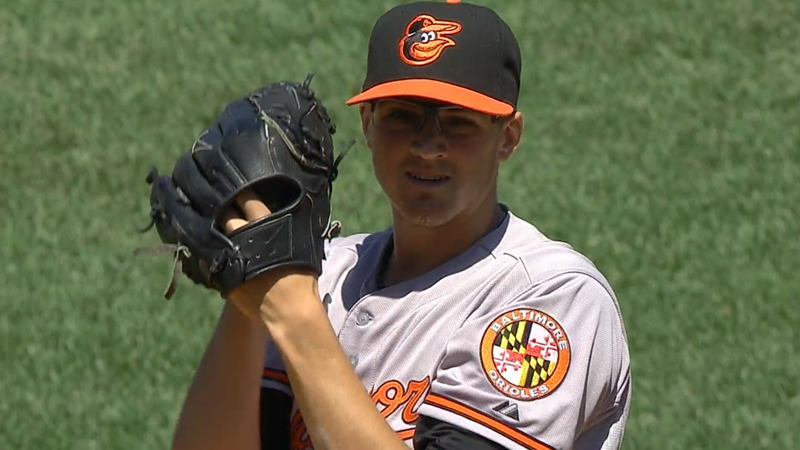 Orioles starter Kevin Gausman was impressive over 5⅓ innings: 4 hits, 1 earned run, 2 walks, 7 strikeouts, mid to high 90s heat, and a 10 MPH difference between his fastball and his change-up. He looks as if he has yet to get his learner’s permit but he’s 23 years old. Jackie Bradley, Jr.’s mission seemed to be to frustrate Manny Machado. In the seventh inning Bradley caught Caleb Joseph’s can of corn with momentum and fired to home plate. 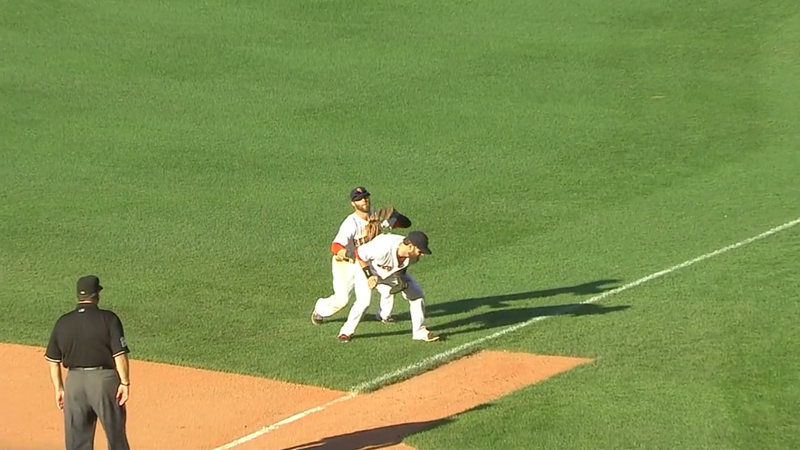 Machado tried to tag up from third base but was out. The Red Sox looked like their 2013 selves in the bottom of the seventh. Perhaps they were motivated by Brian Butterfield’s ejection. He was trying to get Hunter Wendelstedt’s attention because Butterfield thought Ryan Webb was not coming to a set position prior to pitching. 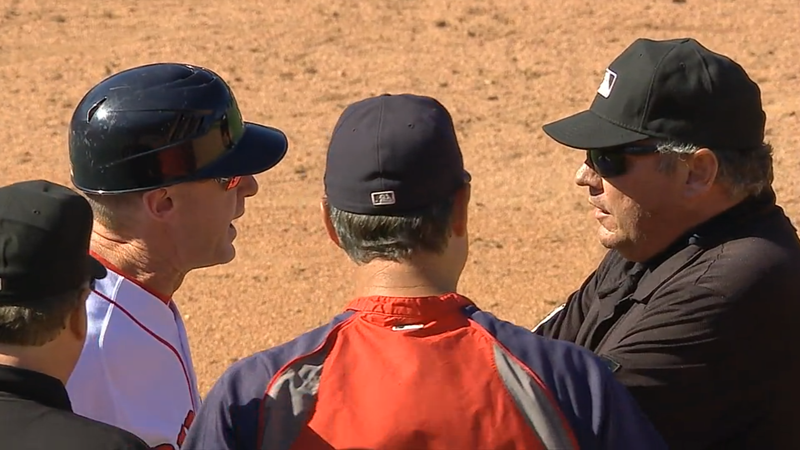 Instead of hearing Butterfield out the umpire ejected the third base coach. The local nine tied the game with a rare offensive onslaught. Koji Uehara surrendered an unusual walk in the ninth inning with two out, made even more unusual because J.J. Hardy worked it. Machado almost made Uehara pay with a fly ball to the warning track in center field but Bradley made a stunning grab to preserve the 6-6 tie. The game lasted 12 innings. There was very little for the Fenway faithful to enjoy. 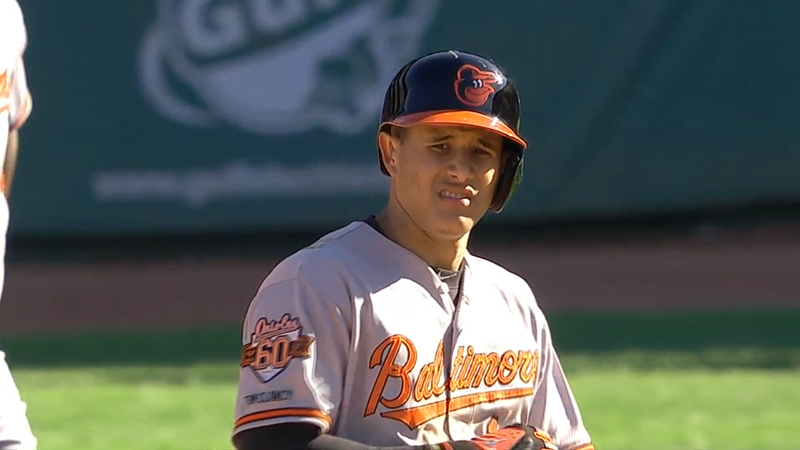 The Orioles pulled ahead in the top of the 12th when David Lough led off with a triple and Hardy drove him in. The only baserunner the Red Sox mustered, David Ortiz, was thrown out in the bottom of the 12th when he tried to stretch a single to the left field corner into a double. Speaking of doubles, Dustin Pedroia and Mike Napoli made a cute couple when they converted on Jonathan Schoop’s pop-up.